One problem with planning routes manually is that it takes a long time. There’s more to it than just figuring out which roads your drivers must take to reach your customers. You also need to account for traffic, construction, weather, customer availability, and other factors. That can take hours to do by yourself. But there’s no reason to do this by yourself. 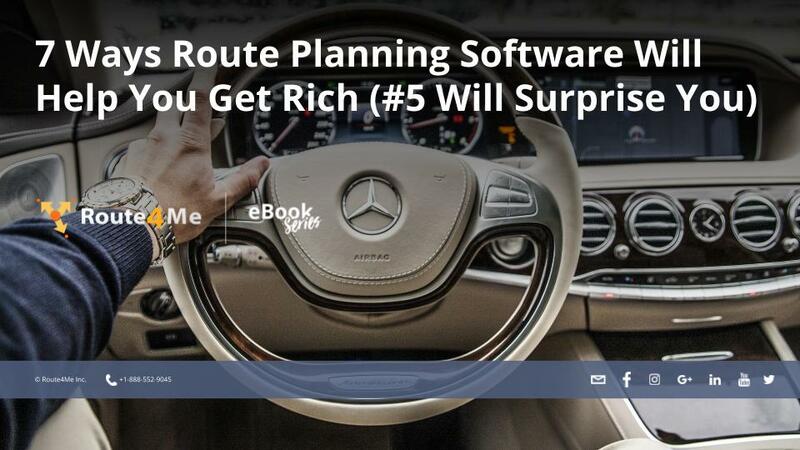 Route planning software can do the hard work for you. Another problem with planning routes by yourself is that there’s no guarantee the routes you come up with are efficient or even accurate. Inefficient/inaccurate routes will slow down your drivers and upset your customers. Route planning software guarantees that every route you give your drivers is the most efficient route possible. They’ll have everything they need to show up on time consistently. Route planning software will make your business much more efficient. You’ll be able to receive an order, prepare it, and ship it out on the same day. Not every business is able to do that. This gives customers a reason to choose you over all their other options. Make sure that the route planner you invest in has a territory mapping feature. It doesn’t make any sense to send your drivers back and forth across your entire service area. Instead, you should break your service area up into different territories and assign a driver to each territory. Read on this post to learn more about the other strategies.